Magnetism of plutonium found; black phosphorus; LEDs move data faster. In a discovery by two national labs that could hold great promise for materials, energy and computing applications, plutonium’s magnetism has been confirmed, which scientists have long theorized but have never been able to experimentally observe. According to Oak Ridge National Lab and Los Alamos National Lab, plutonium was first produced in 1940. Its unstable nucleus allows it to undergo fission, making it useful for nuclear fuels as well as for nuclear weapons but less known is that the electronic cloud surrounding the plutonium nucleus is equally unstable making it the most electronically complex element in the periodic table, with intriguingly intricate properties for a simple elemental metal. Conventional theories successfully explained plutonium’s complex structural properties, and predicted that plutonium should order magnetically — in stark contrast with experiments, which had found no evidence for magnetic order in plutonium. Finally, after seven decades, this scientific mystery on plutonium’s “missing” magnetism has been resolved. 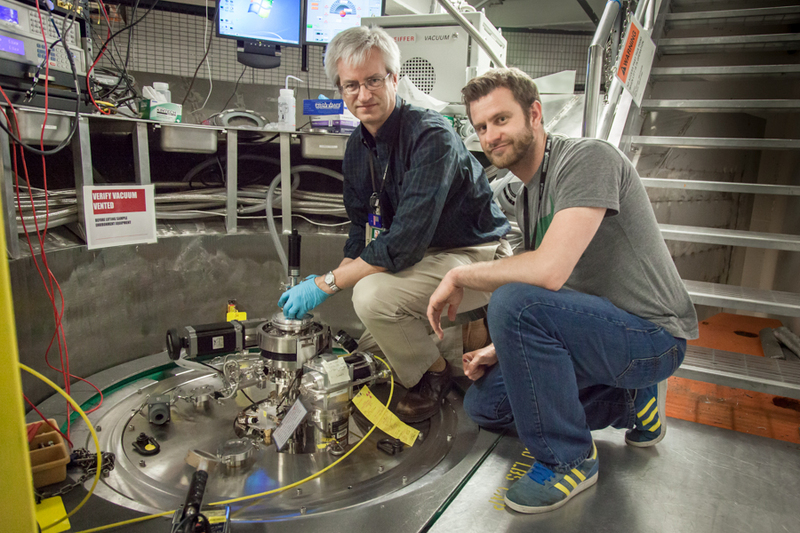 Using neutron scattering, researchers from the Department of Energy’s Los Alamos and Oak Ridge (ORNL) national laboratories have made the first direct measurements of a unique characteristic of plutonium’s fluctuating magnetism. Marc Janoschek from Los Alamos explained in a recent paper that plutonium is not devoid of magnetism, but in fact its magnetism is just in a constant state of flux, making it nearly impossible to detect. Using neutron measurements made on the ARCS instrument at ORNL’s Spallation Neutron Source, a DOE Office of Science User Facility, Janoschek and his team determined that the fluctuations have different numbers of electrons in plutonium’s outer valence shell—an observation that also explains abnormal changes in plutonium’s volume in its different phases. These observations not only establish a microscopic explanation for why plutonium is structurally unstable, but more broadly, suggest an improved understanding of complex, functional materials that frequently are characterized by similar electronic dichotomies, the researchers said. The researchers stressed that the dynamical mean field theory calculations used in this work have reached a new level of sophistication and the methods developed in this research promise to open the door for future investigations into those other complex materials that are considered as critical for future computing and energy applications. Janoschek and his team ran the dynamical mean field theory calculations on the Titan supercomputer located at the Oak Ridge Leadership Computing Facility (OLCF) at ORNL. Janoschek said the team used nearly 10 million core hours for their computations. 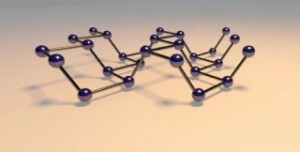 Black phosphorus the next silicon? According to researchers at McGill University and Université de Montréal, black phosphorus could emerge as a strong candidate for a new material to make it possible to extend Moore’s Law. The researchers report that when electrons move in a phosphorus transistor, they do so only in two dimensions that suggests black phosphorus could help engineers surmount one of the big challenges for future electronics: designing energy-efficient transistors. The way the University of Virginia researchers explain it, it’s like using fiber optics to communicate – only without the fiber — to connect to the Internet through the same room lights that brighten your day. Maite Brandt-Pearce, a professor in the Charles L. Brown Department of Electrical and Computer Engineering, and Mohammad Noshad, now a postdoctoral fellow in the Electrical Engineering Department at Harvard University, have explained a method of using light waves from light-emitting diode fixtures to carry signals to wireless devices at 300 megabits per second from each light. Their breakthrough means that data can be transmitted faster with light waves using no more energy than is already required to run the lights.